A new Brown University study adds an interesting wrinkle to the meditation movement. When thrown by their feelings, men tend to “externalize” their emotions by doing things like working out, playing video games or otherwise interacting with their outer worlds, research suggests. Women tend to “internalize” by analyzing and ruminating over their emotional states, psychologists say. While many men go outward — and one might argue, distract themselves from their internal world — women go inward. 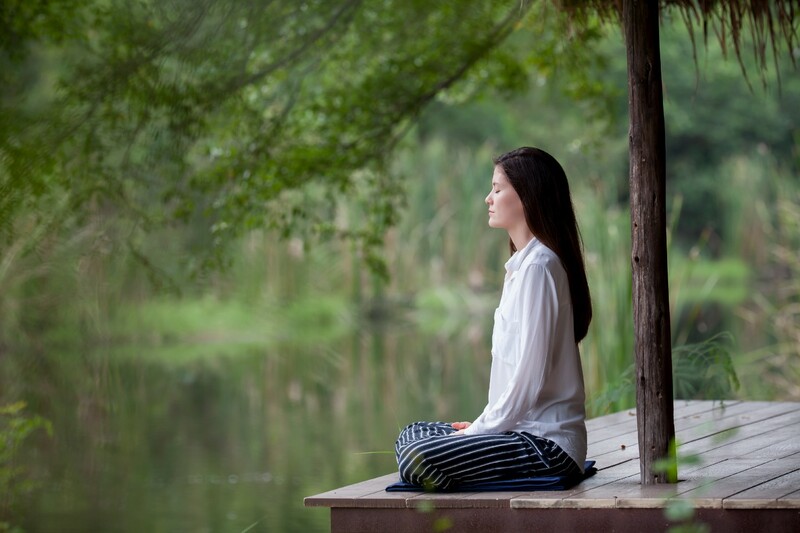 That predilection toward introspection means women get more out of taking a mindfulness meditation course, at least according a new paper from Brown University. Published in Frontiers in Psychology this week, the study followed 77 Brown students completing a 12-week meditation course — they averaged 41 hours of practice inside and outside of class each. While the 36 women who were part of the final sample meditated less, on average, than the men, they had greater reductions in experiences of “negative affect,” or feeling down. The women also reported bigger gains in being able to describe their emotions and being better attuned to their physical sensations as they went about their days. Components of mindfulness were especially predictive of the negative affect reductions in women — being more aware of their thoughts while also feeling less wrapped up in them, and showing themselves greater self-kindness and less self-judgment. That’s where the gender bit ties in: Since mindfulness practice has been shown to help people stop chewing on their thoughts all the time, it may more readily plug into the way women (are traditionally taught to) approach their emotions. You don’t want to over-interpret these results, though: 77 isn’t a huge sample size, and just 36 female participants means that you can’t definitely say that it was the mindfulness classes that made the changes — further research, with a much bigger sample size, is needed. The study also relied on self-reports, which fall victim to “social desirability bias.” In this case, college students who sign up for a meditation class might want to show that the practice helps them. As well, social norms around gender — even at a progressive place like Brown — have a way of filtering people’s self-expression. Men are thought to be less taught by their families and society to articulate their emotions, so they may also be less likely to self-report them in a study — a pattern that’s been found in research on depression. And research on gender differences, of course, needs to acknowledge that gender isn’t binary, so study designs need to reflect that, too. But what’s exciting here gets beyond gender roles: The simple truth is that people have different ways of working with their emotions, so they should use (or at least start with) the coping strategies that meet them where they’re at. The authors do have a recommendation for traditional dudes: Since they’re already doing physical things to deal with their emotions, an active mindfulness practice might be a better-suited entry point, like yoga. So men of the world, if you want to get a better handle on your head and heart, you might want to get going on those sun salutations.